The Silky Straight Lace Front Wigs Guide. Silky straight lace front wigs are everywhere. If you have naturally straight or wavy hair then a silky straight lace wig is a great replica of your hair type. If you’re hair has any curls, this texture may be too straight. Our Store has plenty of options for you. 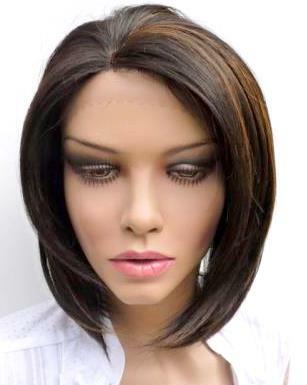 Whether you’ve got alopecia, male pattern baldness or are experiencing hair loss due to illness you can wear these lace wigs and have an undetectable hairline and stand tall. Here at Peruke, we’re only interested in helping you to look your best and have confidence in your hair - with that in mind, although in theory anyone can where the silky straight texture, those with afro hair can wear it but might find Yaki straight more preferable. If you’re Afro Caribbean, African American or African European and want an alternative to a silky straight lace wig then check out our Yaki Hair Guide for the low down. At last… no need to spend lots of money on waxes and serums to make your hair shine… Hurrah! Silky straight lace front wigs tend to start from 12 inches however you can find them from 10 inches and here at Peruke we’ll have silky straight lengths from 8 inches for those who intend to have their wigs cut in to chic crops and bobs. Lengths for silky straight wigs go up to 24 inches in the main and usually anything longer than 18 inches can increase in price dramatically due to the small supply of donors that have that length of hair; and remember to decide whether you only want 100% Remy hair for your wigs for human hair wigs or whether non-remy lace wigs are also an option. Since we like to go the extra at Peruke we’ll provide lengths up 36 inches for you ladies who simply love long locks! Our top tip for choosing your length is decide first whether you want it cut into a style after you purchase it. Likewise if you’re planning to have a chin length bob, measure from your crown to your chin and that’s the length to aim for. Or, see our length and measuring guide for more details on this. Indian Remy and Chinese Remy hair often comes in a black or off black to dark brown colour. But thankfully the manufacturers can dye the hair any colour you like from platinum blonde to neon green! So have a look at the colours on offer and choose whatever you like. A word of caution however, unusual colours or very light colours tend to cost more because of the dyeing process, so you might want to opt for one or two highlights for 30% of the wig. See our in-depth guide for caring for wigs, and use these top five tips as a starter. 1. 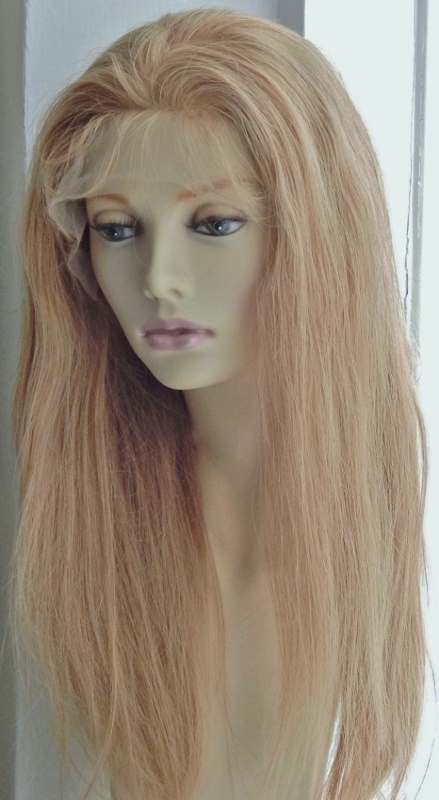 Always wash your silky straight lace front wig on a mannequin head (a polystyrene/Styrofoam head is fine). This gives you complete control over the procedure. 2. Use a shampoo for dry/damaged and/or coloured hair (make sure it’s for coloured hair if you’re wig is coloured in any way – if you’re not sure if it is, use one just in case). 3. Never blow dry your wig with a hooded dryer or otherwise! Only let it air dry. 4. Use an anti frizz serum when wet to keep the hair smooth on your silky straight lace wig. Avoid gels as these cause build up and will mean excessive washing of your wig, which shortens its life span. 5. Denman brushes are great for silky straight lace wigs and the hair can be combed when it’s wet or dry but we’d advise that you don’t over comb the hair and don’t comb it too much when wet as it can contribute to shedding of your lovely lace wig! Voila! Your silky straight lace front wigs guide done and dusted!